LAS VEGAS (March 4, 2014) – As hundreds of fans and media stood in lines that stretched from the sidewalk outside the main doors to the make-shift ring inside the lobby of MGM Grand in Las Vegas, popular Mexican boxing superstar and former World Champion Canelo Alvarez, his opponent this Saturday, Alfredo “El Perro” Angulo, and five-of-the-six other fighters who’ll compete on “TOE TO TOE: Canelo vs. Angulo,” made their official entry into the hotel Tuesday afternoon. In what’s expected to be a slugfest in the main event this Saturday, March 8, on SHOWTIME PPV®(9 p.m. ET/6 p.m. PT), Canelo (42-1-1, 30 KOs) will face the double-dangerous Angulo (22-3, 18 KOs) in the 12-round super welterweight main event. In world title fights that precede Canelo vs. Angulo, undefeated two-division world champion and current WBC Super Bantamweight titleholder Leo “Terremoto” Santa Cruz (26-0-1, 15 KOs) will defend against crowd-pleasing, former three-time world champion Cristian “El Diamante” Mijares(48-7-2, 22 KOs) and IBF Junior Middleweight World Champion “King” Carlos Molina (22-5-2, 6 KOs) will defend against undefeated Jermall Charlo (17-0, 13 KOs), who missed the arrivals, but was due at MGM Grand later on Tuesday. 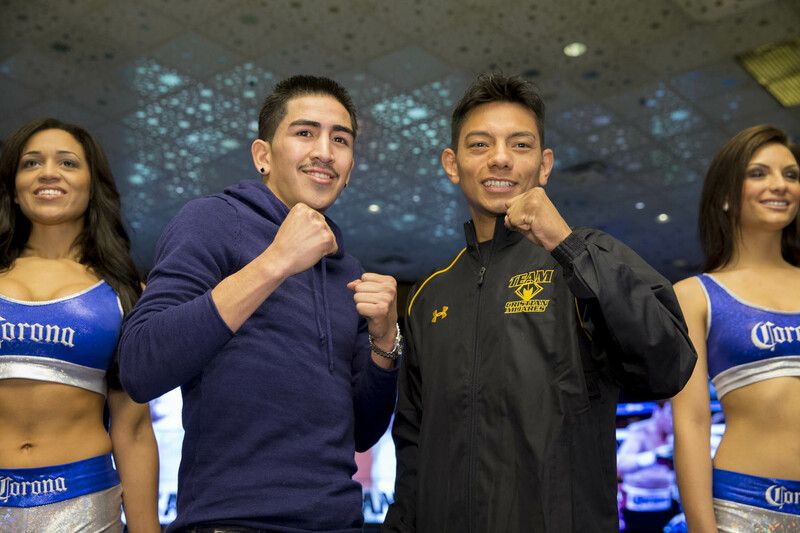 A 10-round lightweight fight between former two-time world champion Jorge “Niño de Oro” Linares (35-3, 23 KOs) and exciting Japanese contender NihitoArakawa (24-3-1, 16 KOs) will open the telecast. 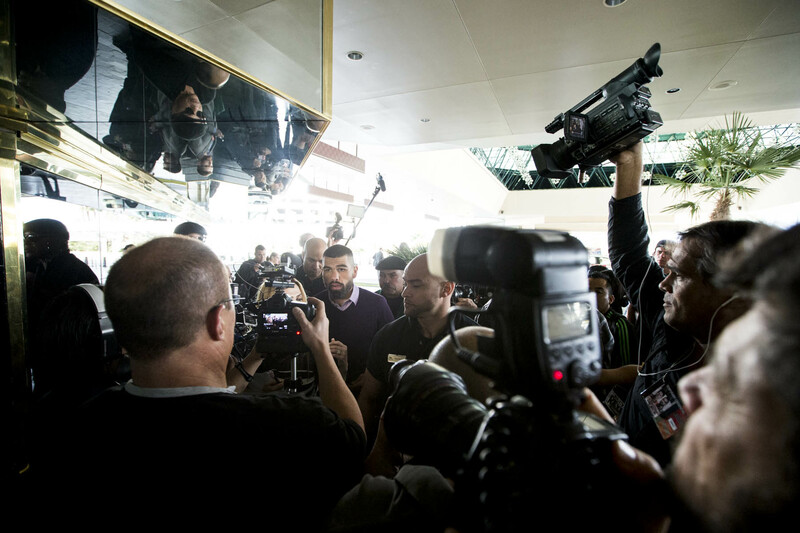 All of the fighters were welcomed enthusiastically by the appreciative fans, but the biggest and loudest cheers were for Canelo, who entered MGM Grand lobby wearing sunglasses and a smile. He was quickly surrounded by fans and media as cameras clicked and TV cameras rolled. 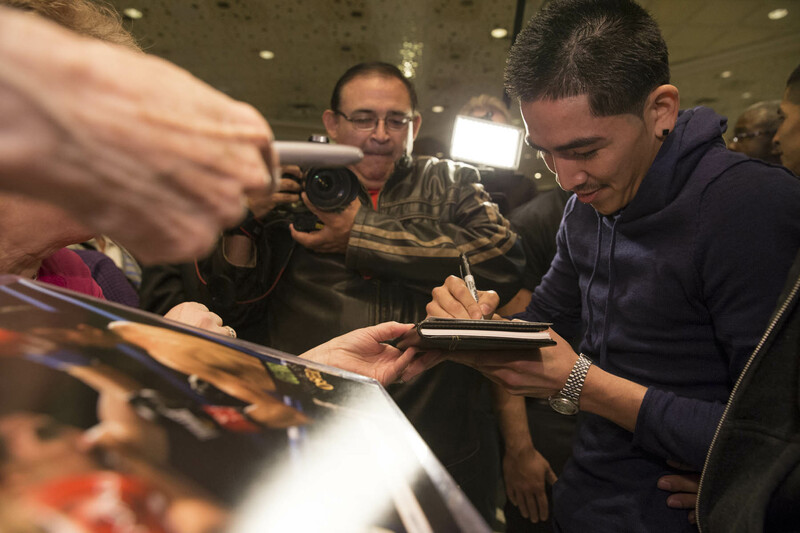 Each boxer signed autographs, posed for photos and completed press interviews. Tickets for the event promoted by Golden Boy Promotions are on sale and priced at $600, $400, $200, $100, $50 and $25, not including applicable service charges and taxes, with a total ticket limit of 10 per person. To charge by phone with a major credit card, call Ticketmaster at (800) 745-3000. Tickets also are available for purchase at www.mgmgrand.com or www.ticketmaster.com. Movie theater tickets are available at participating theater box offices and online atwww.FathomEvents.com. Below is what the fighters said upon their arrivals on Tuesday. “I had a very relaxed camp, but, at the same time, I was very anxious to get back in the ring. “More than the style difference [between Mayweather and Angulo], I’m just happy to be back in the ring. It’s a tough fight, but I’m very confident. “I learned a lot from fighting Floyd, but I’m ready to get back in the ring to maintain the path that I was on before. This is what I love to do. I live to fight and we’re ready for Saturday. “I’m fully concentrated on this fight. What happened in September is in the past. I’m focused on Saturday and Angulo. “Every fight is important, but this one is more special because all of the fans in Mexico will know that the winner of this fight is the No. 1 Mexican fighter. It’s a huge fight for Mexico and it’s a huge fight for Canelo and me. “Everyone can have their own opinion on who will win the fight. My fans know what I do in the ring and they know what to expect on Saturday night. “My hand will be raised. I’m ready now and I will give the fans my best performance against Canelo. You will see the best Alfredo Angulo on Saturday. “I’ve been in the gym training really hard so when fight day comes I can give them my best. “Leo is a great fighter, but in this sport you win some and you lose some. Come Saturday, I’m coming to win. “I’m more eager and hungry than I’ve ever been for a fight in my life. I can’t wait to walk in that ring. This is what I’ve worked for, this is what I live to do. “This reminds me of 2007 when I won my first world title, the only difference is that was at Mandalay Bay instead of MGM Grand. 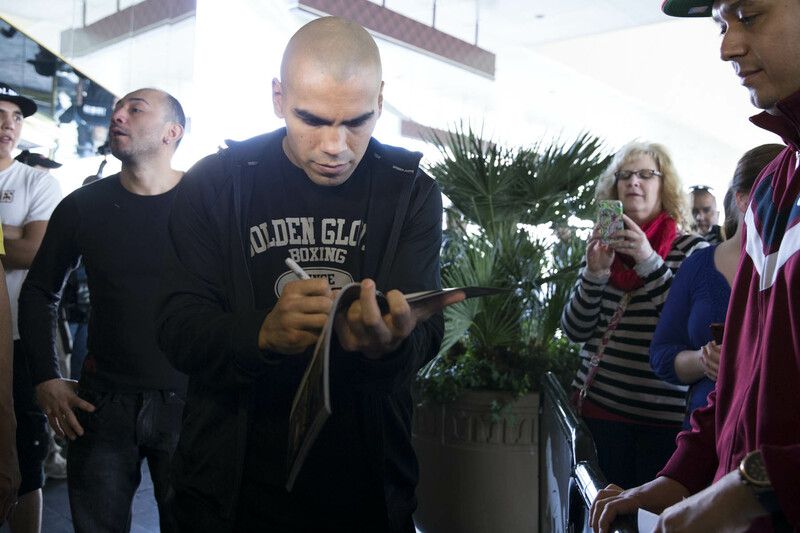 “I’m grateful to be back in the United States and this time I’m going to win. 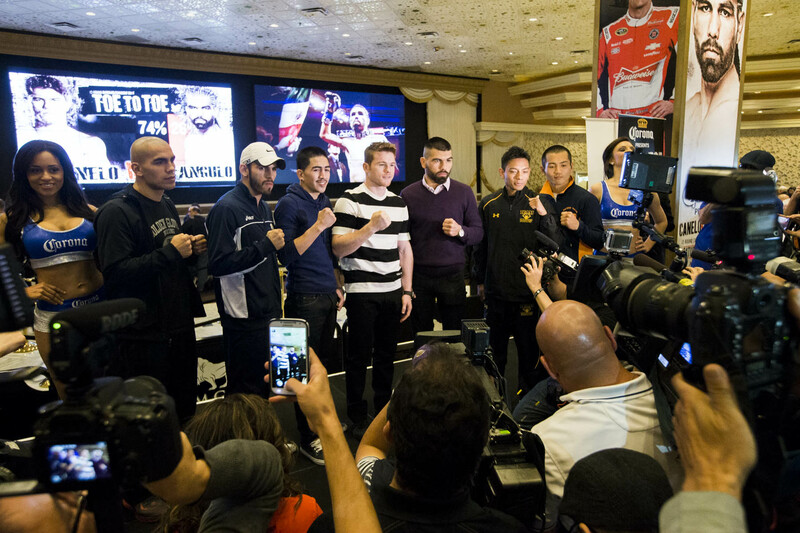 “TOE TO TOE: Canelo vs. Angulo,” a 12-round super welterweight fight taking place Saturday, March 8 at the MGM Grand Garden Arena in Las Vegas, is promoted by Golden Boy Promotions and Canelo Promotions and sponsored by Corona, AT&T and Casamigos Tequila. In world title fights on the undercard, two-division World Champion Leo Santa Cruz will defend his WBC Super Bantamweight World title against former three-time World Champion Cristian Mijares and Carlos Molina will defend his IBF Junior Middleweight Championship against undefeated Jermall Charlo. Carlos Molina vs. Jermall Charlo is presented by Golden Boy Promotions in association with Warriors Boxing. 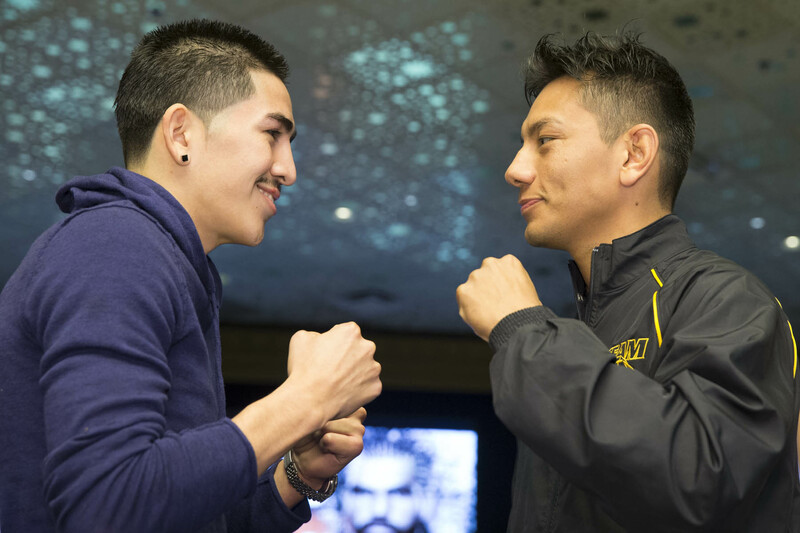 The four-fight telecast, which opens with a 10-round lightweight bout between Jorge Linares and Nihito Arakawa, will be produced and distributed live by SHOWTIME PPV beginning at 9 p.m. ET/6 p.m. PT. The event can be heard in Spanish using secondary audio programming (SAP). 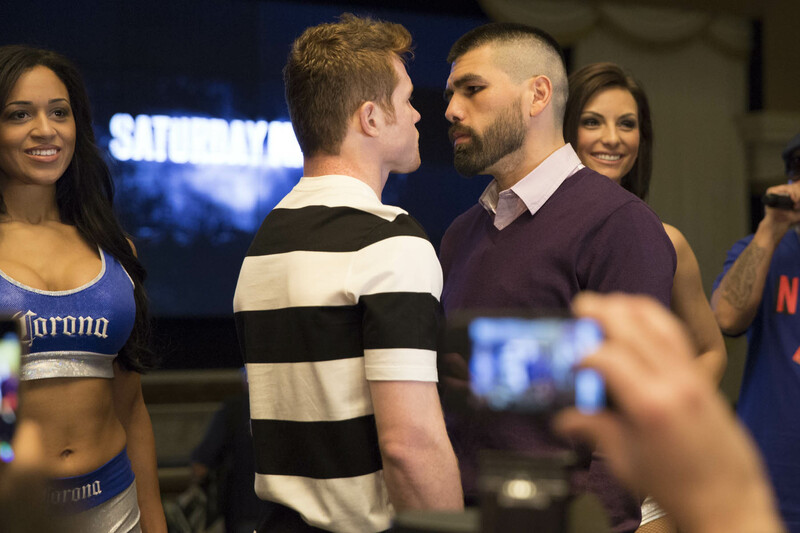 “TOE TO TOE: Canelo vs. Angulo” will be broadcast in over 400 select movie theaters across the country. For more information, visit www.goldenboypromotions.com, www.sports.sho.com andwww.mgmgrand.com, follow on Twitter at @GoldenBoyBoxing, @CaneloOficial, @elperro82, @leosantacruz2, @diamantemijares, @DinamitaAB, @YeyoThompson, @JorgeLinares, @FutureOfBoxing, @mgmgrand, @SHOSports and @Swanson_Comm, follow the conversation using #CaneloAngulo and become a fan on Facebook at www.facebook.com/GoldenBoyBoxing andwww.facebook.com/SHOBoxing.